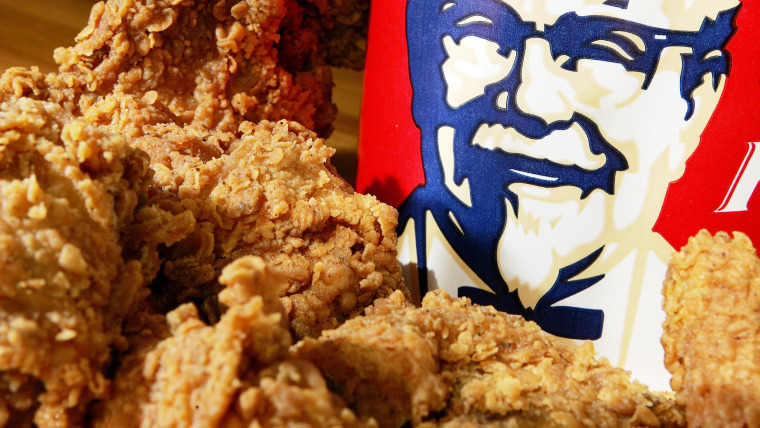 The famous chicken chain is about to let customers into its restaurant kitchens. If you love fried chicken but have struggled to make it at home, KFC wants to let you in on a few of its secrets. For decades, the Southern food chain has gone to great lengths to keep its famed recipe — especially those 11 herbs and spices — a secret. But this Saturday, hundreds of KFC restaurants will be opening their doors to give food lovers a hands-on experience. In an event aptly named "KFC Open Kitchen," the chain will take customers behind the scenes at 300 restaurants throughout the U.K. and Ireland to make, well, fried chicken, of course. Sadly for Americans, Open Kitchen events are not happening stateside (at least not yet), but if you really, really love the Colonel, perhaps it's time to take a short trip across the pond to witness the magic. Tickets to the event, which takes place only on March 30, will allow customers to get an intimate look at how the famous chicken recipe is prepared and give them the opportunity to hand-bread, fry and craft their very own KFC sandwich. The Open Kitchen site does not disclose how many tickets are available per each location, but many are already sold out online. With the exception of one reporter who nearly cracked the case three years ago, most folks have never gotten close enough to the 11 herbs and spices recipe to truly replicate it. KFC won't be divulging exactly what's in the mix but patrons will be led through the exact cooking process — from hand-breading the crispy coating to frying — and they'll be able to get their hands on the actual flour the chain uses that comes pre-mixed with those famous 11 herbs and spices. So, in theory, a guest with a super sharp sense of smell might be able to detect what's really in the mix once and for all.